Turkey’s biggest international sea resort, Antalya is one of the most beautiful locations on the list of European holiday destinations. With Turkey changing hands under numerous kings and empires, Antalya has served as a massive port for some majestic naval fleets under the Romans, the Byzantine Empire and the Turks. From a major trade & strategic port-town to one of the most-visited holiday spots in the world, Antalya has come a long way through time. In Antalya, life revolves around the tourists and there is little or no interest other than these settings. Agriculture is a part of the local life with citrus fruits, cotton, flowers, olives & its oil, and bananas being the main produce. The town has a wonderful wholesale food market that not only caters to the entire population, but also gives the local restaurants their daily raw materials. Shipyards are a massive part of the life in Antalya and their main line of products include luxury yachts. Overall, the city remains a major attraction for tourists mainly due to the architecture, the wonderful cobbled streets and the beautiful views from various parts of the city. 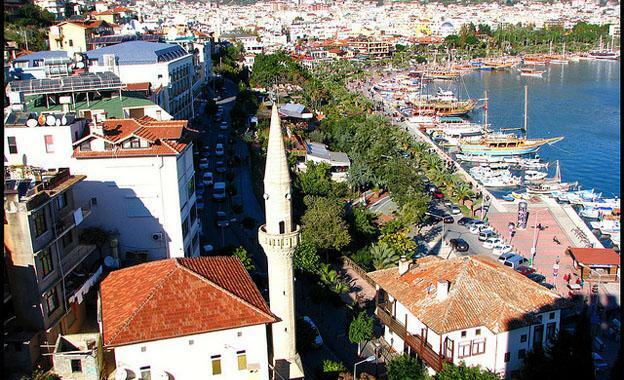 Antalya city is full of tiny stores that sell everything from local handicrafts & products to major designer products. There are a number of restaurants serving local Turkish cuisine while places like the Cumhuriyet Square are known to host various exhibitions and performances in the heart of the city. There are ruins from over seven major empires that have ruled these lands, each creating enough magic to spend a lifetime in Antalya. The presence of the Taurus Mountains acts as a fantastic natural barrier against all harsh weather conditions. Summers are quite hot and dry while winters are wet and brilliantly cool. Average lows go down to the late-single digits in winters while the summer highs are in the mid-thirties. There isn’t much rain throughout the year except between November and February, when the skies just seem to be open all the time. 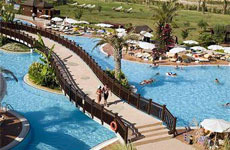 That is the time when staying out of Antalya is the best thing to do. 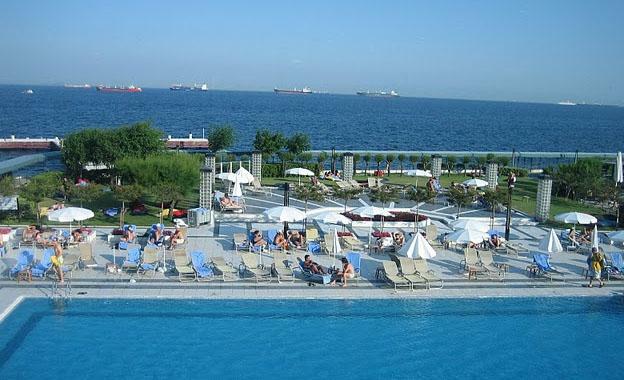 Relaxation is the name of the game at Antalya city and the Ramada Plaza Hotel is built to perfection for this task. There are massive numbers of eating joints, of all kinds, all around the hotel and the shopping district is spread all around as well. Hadrian’s Gate, Inner Bailers and the Taurus Mountains are close enough to be inside the hotel while the Kaleici is also a few seconds away. Relaxing in the hotel’s 223 rooms isn’t hard, considering that every room has fantastic amenities like mini-bars, work-desks and even private balconies with astonishing views. The Ramada Plaza has been built like a resort, ensuring that guests can enjoy their stay with some excellent massages at the spa & beauty centre, or catch up on their exercise in the fitness centre. The hotel has an indoor & outdoor swimming pool while the hair salon is just an added touch of indulgence. One of the most popular hotel in Antalya, the Lara Beach hotel is located in a fantastic area, giving guests unlimited access to the beach within seconds of leaving their rooms. Every room, at the hotel, has wonderful views of the sea while those looking to loo Antalya city need only to walk a few steps to get to all the important places. The hotel is just 8 miles from the centre of the city, while almost everything a tourist might need, for food, shopping and entertainment, is already catered for within or around the hotel. The hotel has a separate breakfast room along with its restaurant, café and bar. A complete set-up in itself, the nightclub allows parties to go into the early hours of morning while the TV lounge is for those who’d like to take it a bit easy. For those who might need to take care of some urgent business, state-of-the-art conferencing facilities are always at hand. The Mediterra Art Hotel’s name suggests a designer hotel with some astonishing décor – and that is absolutely correct. Whether sitting by the wonderful garden & sun-bathing lounge or enjoy a cool dip in its lovely swimming pool, the Mediterra Art Hotel is incredibly easy on the eyes. 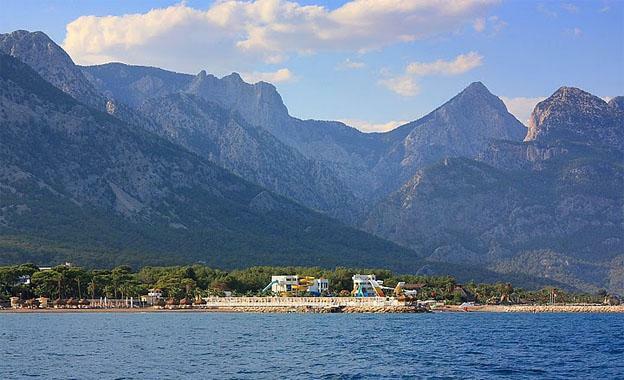 The hotel is placed extremely close to Antalya’s Cumhuriyet Square, and also has a host of water sports for those who’d like to spend more time on the beach. The Roman amphitheatre at Aspendos and the Mermerli Beach are close-by, keeping guests busy at all times. The Mediterra Art Hotel comes with just 19-rooms however each room is fantastically decorated in a unique theme within the elaborate Ottoman style. There is a wonderful restaurant and a separate bar, while the hotel’s swimming pool is all about picturesque beauty. The hotel, itself, is set in a wonderful medieval building, adding to the charm of the town of Antalya.